Packaging plays an essential role in limiting undesired microbial growth and sensory deterioration. Advances in meat, poultry and seafood packaging provides a comprehensive review of both current and emerging technologies for the effective packaging of muscle foods. Part one provides a comprehensive overview of key issues concerning the safety and quality of packaged meat, poultry and seafood. Part two goes on to investigate developments in vacuum and modified atmosphere packaging for both fresh and processed muscle foods, including advances in bulk packaging and soluble carbon dioxide use. Other packaging methods are the focus of part three, with the packaging of processed, frozen, ready-to-serve and retail-ready meat, seafood and poultry products all reviewed, alongside advances in sausage casings and in-package pasteurization. Finally, part four explores emerging labelling and packaging techniques. Environmentally-compatible, antimicrobial and antioxidant active packaging for meat and poultry are investigated, along with edible films, smart packaging systems, and issues regarding traceability and regulation. 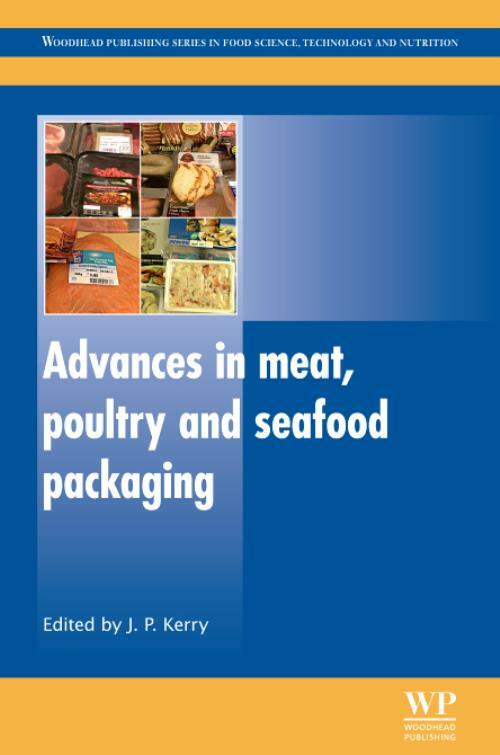 With its distinguished editor and international team of expert contributors, Advances in meat, poultry and seafood packaging is a key text for those involved with the research, development and production of packaged meat, poultry and seafood products. It also provides an essential overview for post-graduate students and academic researchers with an interest in the packaging of muscle foods. Kerry, Joseph P.Dr Joseph P. Kerry is head of the Food Packaging Research Group at University College Cork, Ireland. He is renowned for his research expertise in food packaging and in the processing of muscle and muscle-based foods.